MULTIFLORAL HONEY of our bees bred with methods respectful for their lives, let’s be part of the hive to them by sacrificing a little production for healthier beehives. 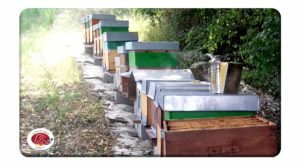 The honey that is collected is only multifloreal because it is the only honey that is truly healthy because the bees transmit the properties of all the plants they visit within their secretion, and more plants means more properties. In addition we also produce an excellent CREAM OF HAZELNUTS AND HONEY, multifloreal honey and stone-ground hazelnuts, a very good combination.